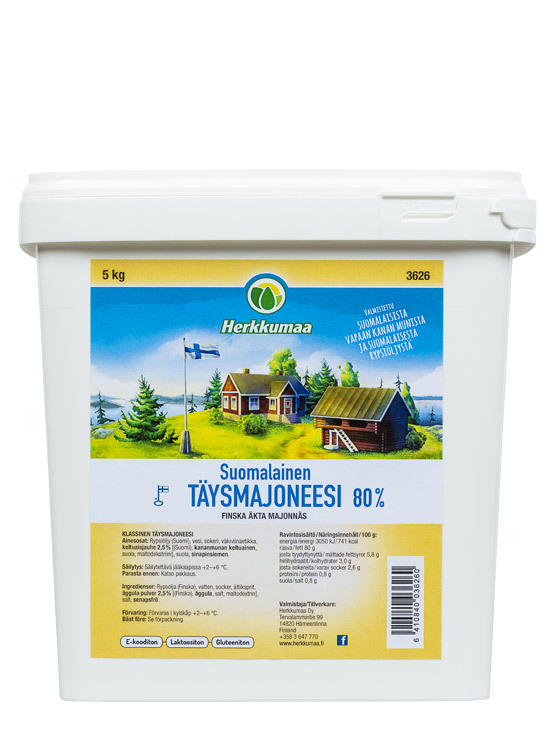 All ingredients are natural in this traditional full-fat mayonnaise made of Finnish free range eggs and Finnish rapeseed oil. It is free from E-codes, lactose and gluten, and can safely be used in commercial kitchens while its creamy texture allows for a variety of uses. Full-fat mayonnaise is perfect on salads, for cooking with and by itself as a side sauce. Total content 5 kg.